Back for a third time! 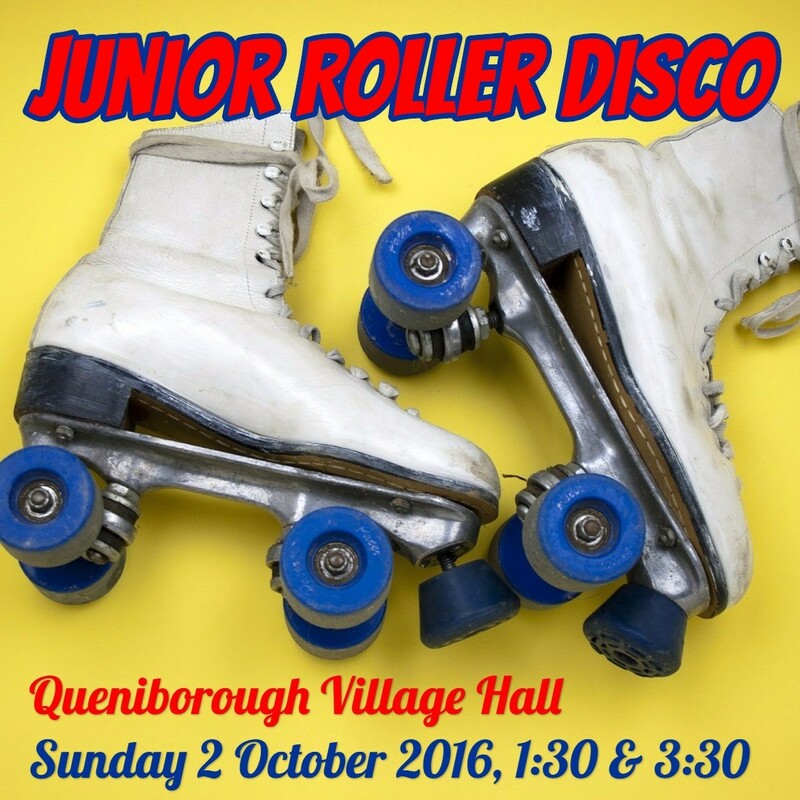 Junior Roller Disco for ages five to teens. One session only from 2:00 pm to 4:00 pm. Bring your own roller skates. Only 25 skaters per session. Advance tickets only, not available on the door. Only £5! Young children to be supervised by their own adult. Sunday 19 February 2017. Sessions at 1:30 and 3:30. The last time we did this the kids loved it. Junior Roller Disco for ages five to teens. Two sessions starting at 1:30 and 3:30 for 90 minutes each. Bring your own roller skates. Only 25 skaters per session. Advance tickets only, not available on the door. Only £5! Call Mandy or Liz for tickets and more information. Young children to be supervised by their own adult. Sunday 2 October 2016. Sessions start at 1:30 and 3:30. 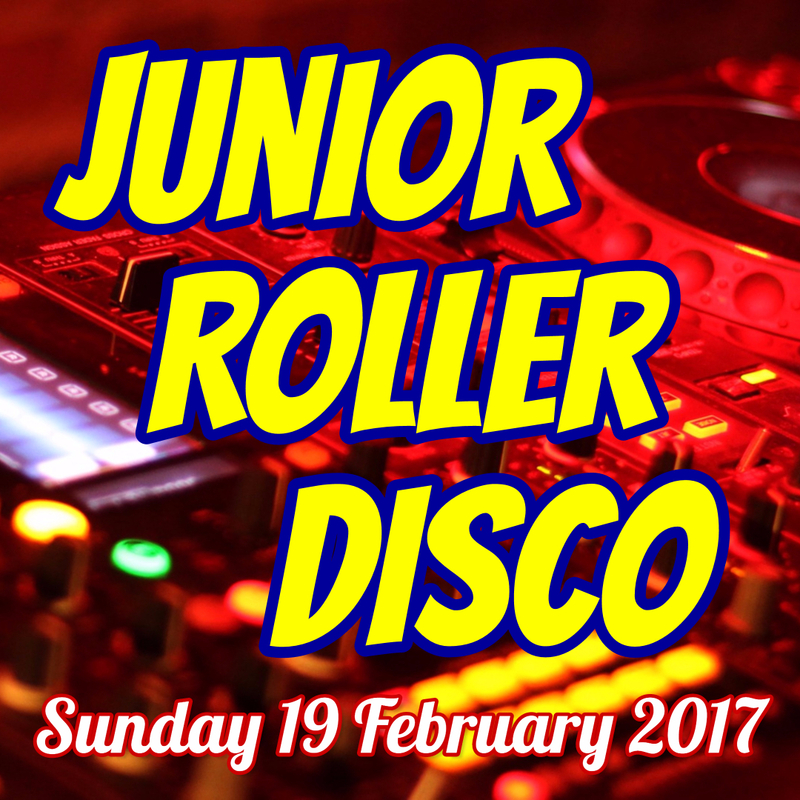 Come to our inaugural Junior Roller Disco! Bring your own skates. Advance tickets only and they’re selling fast. No tickets available on the door. Only 25 skaters per 90-minute session. Sessions start at 1:30 and 3:30. Skaters must be aged 5+, children under 9 to be accompanied by their own adult. Call Mandy or Liz for tickets.